"Where food & acquaintances become good friends"
Howick’s best kept secret is sure to awaken your senses and no more so than from the beautiful aromas coming from the kitchen. Your taste buds will come alive as you peek through the kitchen windows to see whats on the menu for the evening. Fla’vours @ The Lounge was created by 3 friends who share a passion for fresh, colourful, creative and organic food. 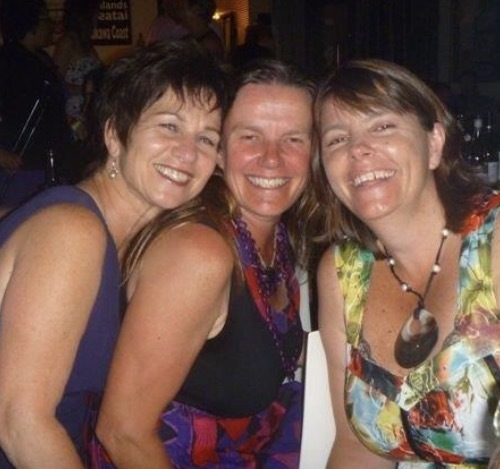 Five years ago Melanie Lockyer, Pauline Macdonald and Christine Bull put their talents together to build their brand Fla’vours “where food & acquaintances become good friends”. Life takes us all on different paths and with the growth and demands of the business changes are inevitable. As the girls step aside Fla’vours welcomes a new chef to its fold whose passion for good food will ensure Fla’vours continue to produce the flavoursome foods and treats we have enjoyed for the past 5 years.